SENIORS who want to learn more about the online world are encouraged to sign up for free classes and workshops hosted by SeniorNet in Ipswich. 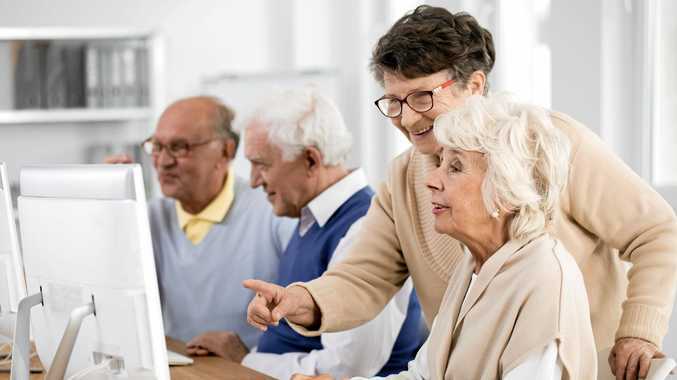 Unlike the younger generation which has grown up with the internet and the latest devices, SeniorNet provides the opportunity for elderly residents to learn essential computer skills such as word processing, using search engines such as Google, sending emails to their friends and family and even paying their bills online. SeniorNet has an internet kiosk in the Humanities Building where older members of the community can go and learn under the guidance of dedicated volunteers. The course consists of four free lessons, each 90 minutes long. The session can have up to two attendees and a tutor to guide you. SeniorNet offers the classes from Monday to Friday at the Humanities Building, and additional training is provided at USQ two days a week with more specific courses for those who are looking to learn more. If you are looking to increase your skills on smartphones, or if you would like to learn how to use certain websites on the internet, there are a number of workshops coming up. Some of the workshops include iPad and iPhone introduction, discovering the keyboard, genealogy: finding family, Android basic: settings and apps as well as a prep class. SeniorNet training coordinator John McVeigh said, "We try to cater to as many people as possible and their interests".